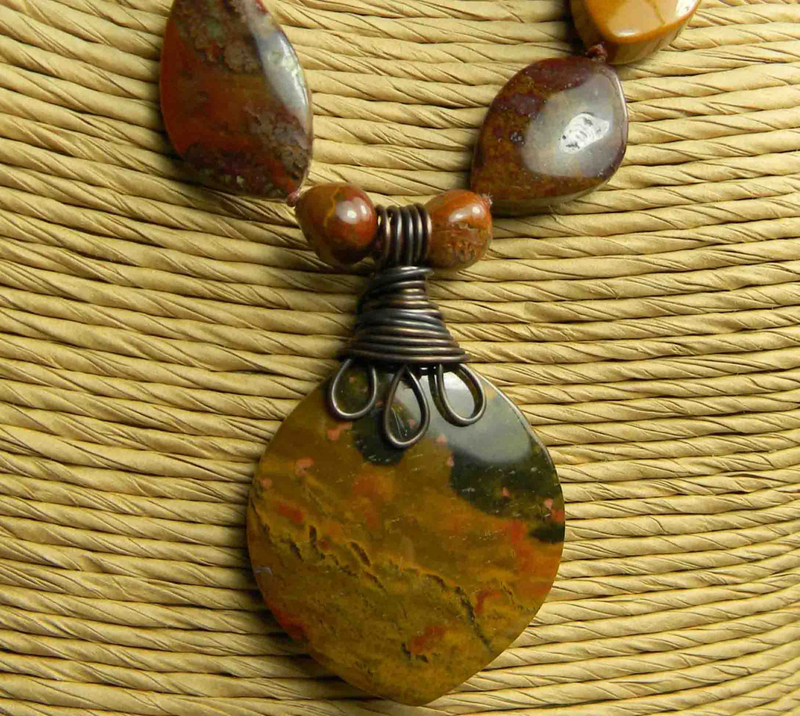 Agua nueva agate, with a copper wire wrapped marquis shaped pendant and beads, in a knotted boho southwestern necklace design. 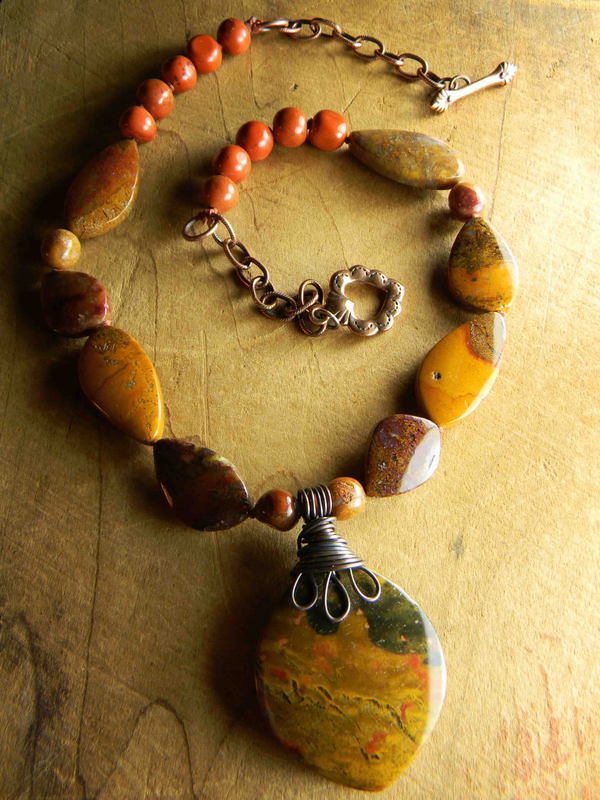 Rich earthy colors in the stones are a perfect autumn color palette, with their golden yellow, browns and reds. The beads are knotted with quality waxed Irish linen cord, which adds an element to the design. To the back, a bit of antiqued copper chain. The closure for the necklace is an antique copper sacred heart toggle clasp. 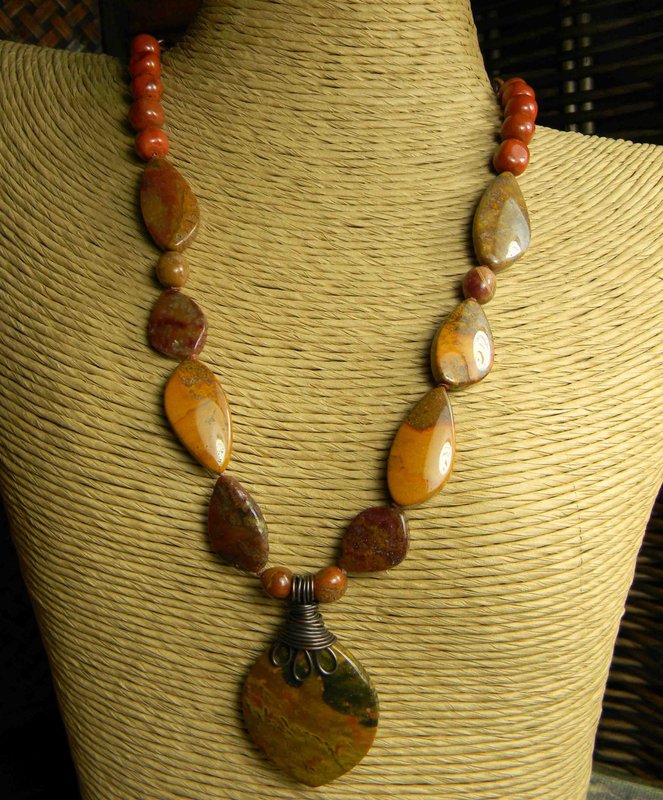 Overall length of the necklace is 18 inches, plus a 2 inch pendant drop. 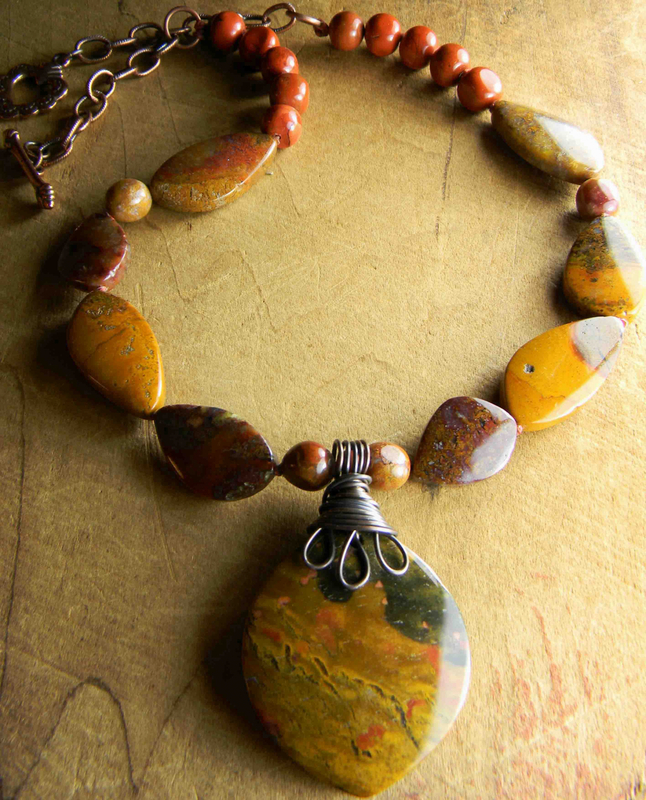 Your necklace will come gift wrapped in recycled and environmetally friendly materials. All my jewelry is 100% workmanship guaranteed. Any issues with construction or component failure within one year (under normal wear conditions) of the purchase date will be corrected at no charge to you. Take care not to wear while swimming or bathing. Please contact me if you have an issue with a purchase. I do not accept returns unless you have received a return merchandise authorization. Shipping cost $3.50 for the first item, and .50 for each additional item in the US.